We "Quality Scientific And Mechanical Works" are an unparalleled name in manufacturing and exporting a premium quality range of Scientific Instruments, since our foundation in the year of 1961. We are designing these offered collection with the help of new technology methods with utmost care and utilizing quality approved basic components. 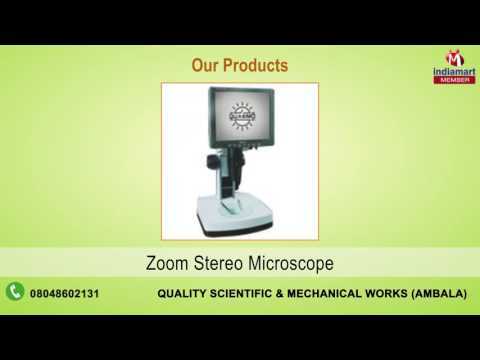 In our product range we are providing Stereo Zoom Microscope, Stereo Dissecting Microscopes and Digital Microscopes.